As the warmer weather (hopefully) arrives and the ward turns green again, By-law and Regulatory Services is sharing information on wild parsnip management. Wild parsnip is an invasive plant that is becoming increasingly more common within the City of Ottawa. It thrives in areas of uncultivated land, like roadside ditches, nature trails, and surrounding rural and residential properties. 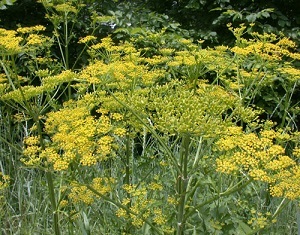 Wild parsnip can pose a health risk to humans; the plant sap contains chemicals that may cause skin and eye irritation and cause skin to burn and blister when exposed to sunlight. Public Works and Environmental Services has been proactively tracking and controlling wild parsnip growth on public property, but residents are responsible for removing invasive weeds on their own private properties. Section 3(4) of the Property Maintenance By-law states that yards must be clean and free from objects or conditions that may create a health hazard, in addition to the responsibility residents have to keep property clear of long grass and/or weeds. If a property owner fails to comply with an order to remove wild parsnip, the City can contract out the work at the expense of the property owner. The Ontario Weeds Act states that residents must also destroy any noxious weeds found on their properties, including wild parsnip. If you have any further questions, contact 3-1-1.